1. First, loosen the chain up, putting slack in it and hold the tensioner in place. 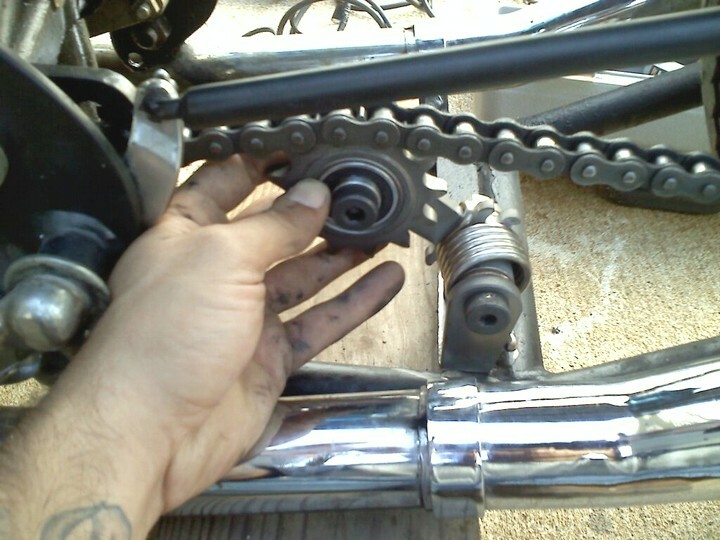 Make sure the sprocket of the tensioner is sitting in the chain and is tracking straight with the chain and the front and rear sprockets on the motorcycle. 2. Then place the tacks needed to hold it in place. 3. 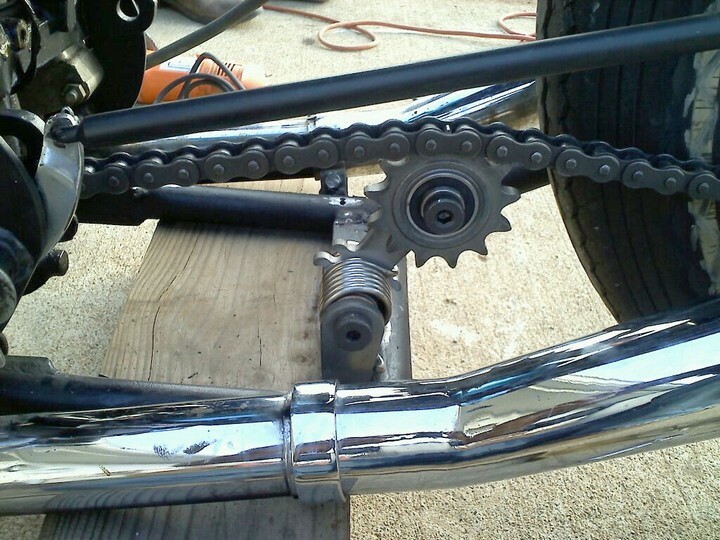 Then pull the chain aside and load the sprocket and swingarm of the tensioner clockwise towards the rear of the bike. 4. 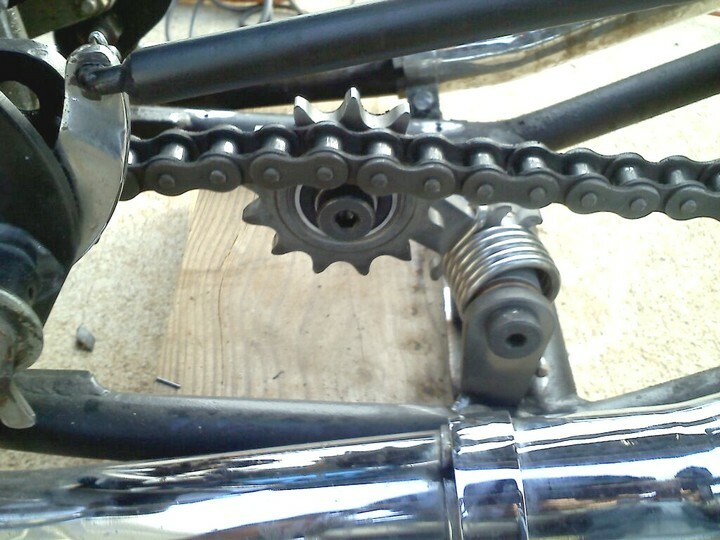 Once the tensioner is in place, check it once more by spinning the back wheel and watching the chain and it's alignment with the front drive sprocket on the engine and the rear sprocket on the hub of the rear wheel. Make sure the sprocket of the tensioner is running in a straight line with the chain and the other sprockets. IMPORTANT!! DO NOT MOUNT CHAIN TENSIONER IN SUCH A WAY THAT IT'S MOVING PARTS CAN COME IN CONTACT WITH A FRAME MEMBER OR ANY STATIONARY PART OF THE BIKE. IF THIS DOESN'T MAKE SENSE THAN CALL 1800-777-4271 AND WE'LL HELP YOU OUT. 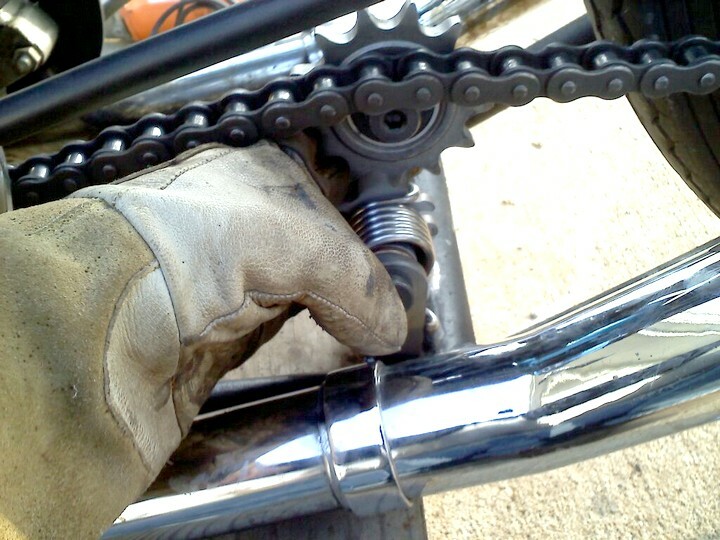 1. first, loosen the chain up, putting slack in it and hold the tensioner in place. Make sure the sprocket is sitting in the chain and is tracking straight with the chain and the front and rear sprockets on the bike.